We’re delighted to announce that our Cobden Works home, designed by Liverpool-based Architectural Emporium has been shortlisted for a RIBA North West Award for 2018. Cobden Works is the UK’s first purpose built outdoor arts creative hub and is located on Cobden Street, Salford, in a light industrial area which is, arguably, one of the least likely locations for a building such as ours. But seeing as Walk the Plank has always seen itself as a disruptive force in creative arts, it made sense for our new home to make a similarly disruptive statement in its locality. Architectural Emporium took on board a challenging brief to create an exciting mixed use complex of spaces which has enabled us to bring all our main functions under one roof. 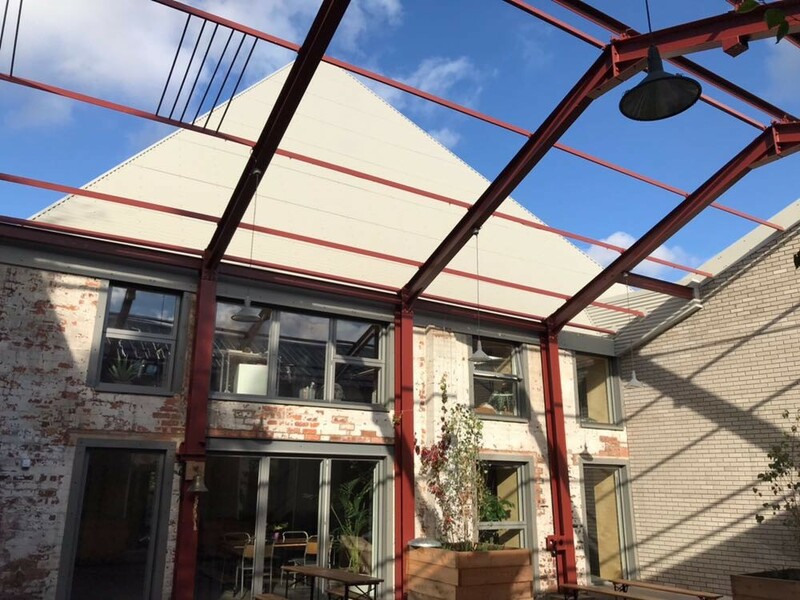 Offices, workshops, learning and rehearsal areas, meeting rooms and a communal eating spaces are now imaginatively housed in an inspirational environment created from the refurbishment of a series of light industrial buildings and a pyramid shaped new build. 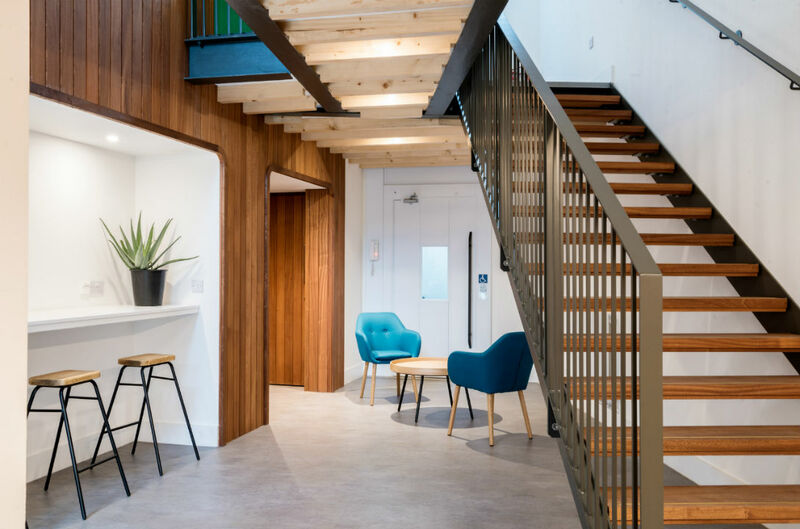 The building uses a range of materials and key elements of the design of the new build pyramid space make nautical references to our early years on our touring theatre ship the Fitzcarraldo. 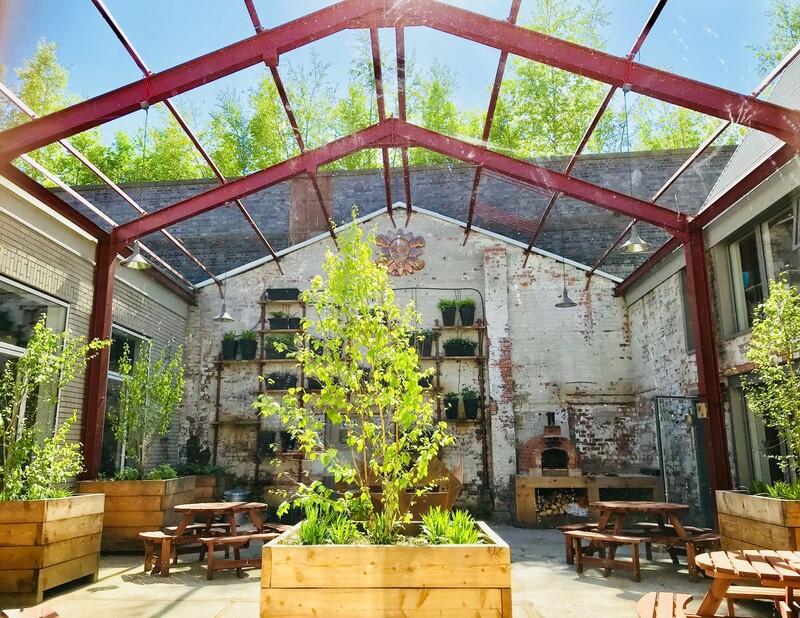 Cobden Works was completed in August 2017 by contractors Skyline Construction and project managed by Liverpool based Through and Around. Cobden Works is lead funded by Arts Council England with generous support from, CHK Charities Ltd, Garfield Weston Foundation, Oglesby Charitable Trust and the Stavros Niarchos Foundation.